Storage Concepts installing a 1,000 m2 ( 10700 ft2 ) mezzanine floor storage system in North London With mesh edge partitioning , lighting and electrics. A mezzanine floor is the cost effective answer to utilising wasted vertical space. Designed and constructed by Storage Concepts’ mezzanine experts. 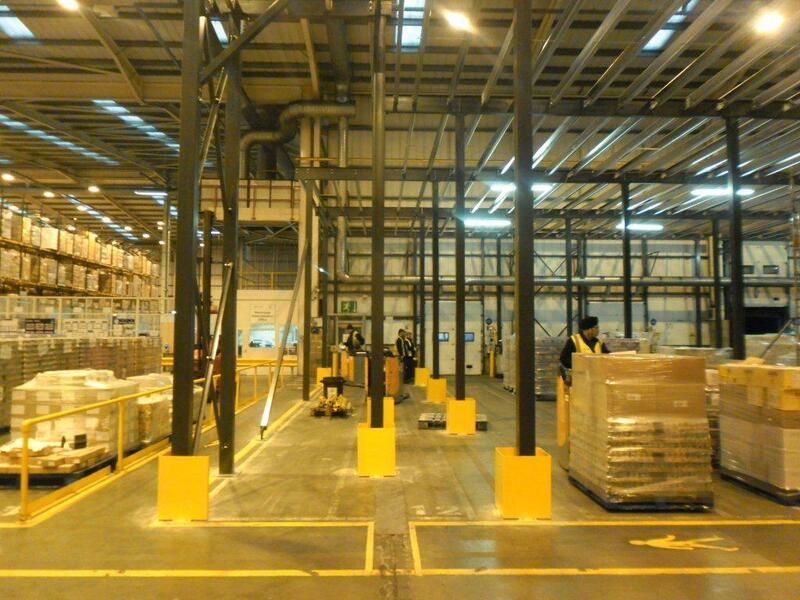 A mezzanine floor could provide your facility with a completely modern, bespoke storage/production/office area. Our mezzanine team has a vast amount of experience of designing and building mezzanine floors. Suitable for storage areas, warehousing, production facilities, retail areas, offices and showrooms that match your organisation’s requirements exactly. We are a Midlands based company, and our showroom is located in Melton Mowbray, leics. For more information on our Mezzanine floors, please call us today using the contact details below or let us contact you.